The arrival of summers brings the opening of Splash Island, an outdoor water park offering two giant waterslides, a doublewide kiddie slide, mini geysers and a therapeutic “bubbler” bench. With a zero-depth beach style entry, the park presents an aquatic experience that is fun and accessible for all ages and ability levels. 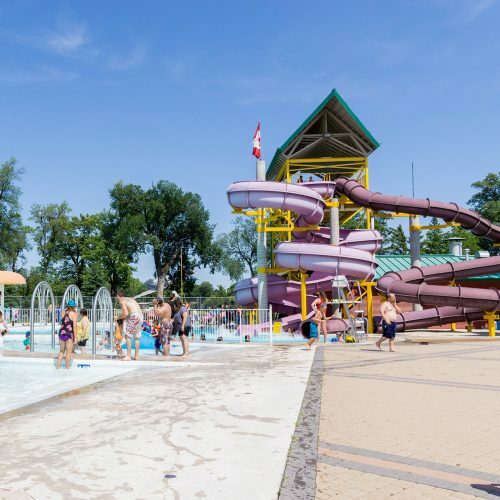 From June to September, public swimming is available seven days per week, weather permitting. Considered by enthusiasts to be challenging but enjoyable, the Portage Golf Club is home to an 18-hole lakeside course was first established in 1922. With a fully licensed clubhouse, on site pro shop and offering rental carts and clubs, you’re sure to test your skills on this Par 70, 6355-yard course. To book your tee time or for more information, visit www.portagegolfclub.ca or call 204-857-6177. 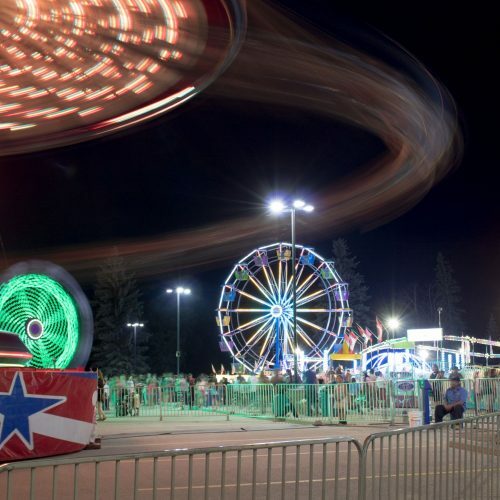 While best known as the hosts of one of Manitoba’s longest running agricultural fairs, the Portage Exhibition Grounds offer seasonal and year-round amenities for visitors. 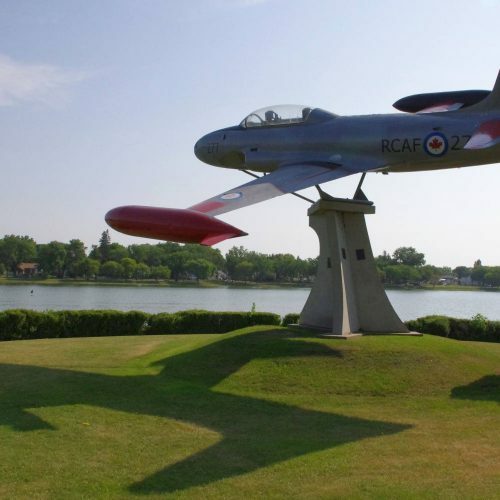 In addition to the two outdoor exhibition arenas, the Portage Ex is home to a 45 serviced (water/electricity) camping sites, the MNP Exhibition Building which can accommodate groups of up to 600, and offer a great natural outdoor space for weddings and special events. Discover more at www.portageex.com or call 204-857-3231. For visitors of all ages that want to get active, Stride Place is a hub of activity all year long. 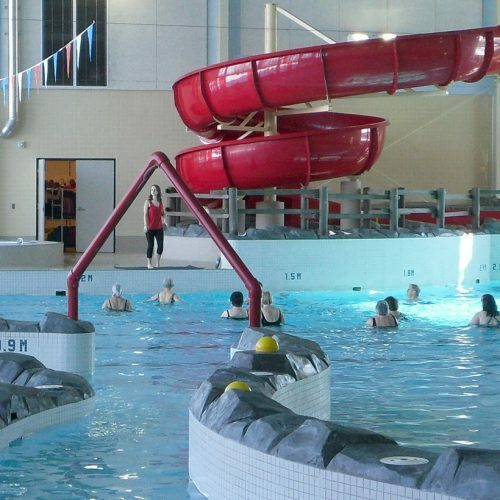 Inside, the Shindleman Aquatic Centre offers Manitoba’s largest indoor wave pool, zero-depth beach entry, hot tub, lazy river and a large indoor waterslide. The aquatic feature is only the beginning for the facility which also includes two NHL regulation size arenas, a 4,000 square foot fitness centre and other special event facilities that can host a variety of conferences, trade shows and receptions. Their website www.strideplace.ca features even more information. You can reach them by phone at 204-857-7772. Surrounding Island Park, the Crescent Walking Path offers both a scenic thoroughfare for walking and biking along the north shore of Crescent Lake, but also a great fitness and wellness route. The 5.2 kilometer walkway is paved, illuminated and accessible 24 hours per day throughout the year. Southport, located 3 kilometers south of the City, is a not-for-profit airport, property management and development company. 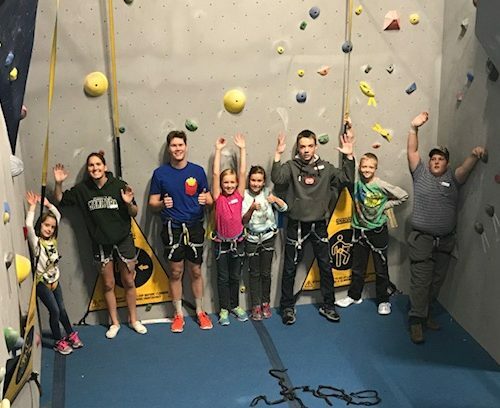 With a focus to be a world-class business center balanced with lifestyle, wellness, and recreation facilities, the Central Plains RecPlex features a 9 meter rock climbing wall, 110 m indoor track, fitness area, upgraded gymnasium access and remodeled change rooms. Southport is also home to a nine-hole golf course and beautiful green spaces which compliment the aviation and aerospace training facilities, research and development of new products, light manufacturing and educational institutions which contribute to Southport’s daily activities. To schedule your tee time, call 204-428-3174. Located on site at the Canad Inn Destination Centre, the Portage Curling Club is home to an eight-sheet curling rink, offering abundant capacity for hosting league play and bonspiels. With abundant indoor seating as well as viewing available from the adjacent Tavern United, you’re sure to enjoy your visit as both a player as well as a spectator. You can reach the club manager at 204-857-5411. The Manitoba Junior Hockey League’s Portage Terriers have an illustrious history on the ice and in our community. The club has produced many successful players who have gone on to the professional circuit and who have left a lasting legacy here in central Manitoba. To find out the schedule and catch a game, visit www.portageterriers.com or call 204-857-7772.